Manufacturer of a wide range of products which include shoe cover dispenser and pharma shoe cover dispenser. Uses For Pharma, Hospital and Hospitality Industries. We offer shoe cover dispenser, it is widely used in pharma, hospital and hospitality industries. 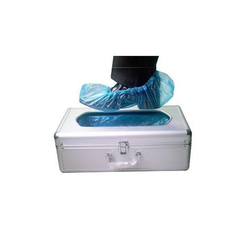 We offer pharma shoe cover dispenser, it is widely used in pharma, hospital and hospitality industries.